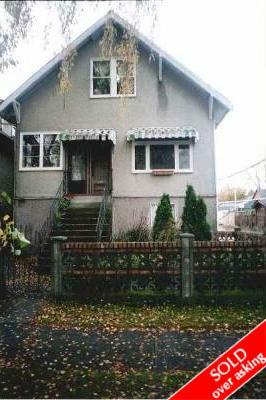 Description: Fabulous investment property located in Main Street area near shops and restaurants. 1912 character home includes 4 - 1 bedroom rental suites on 3 levels. Bring your investors - this won't last long. All measurements approx, to be verified by buyer. Open House Sat Nov 28th, 1-2 pm.